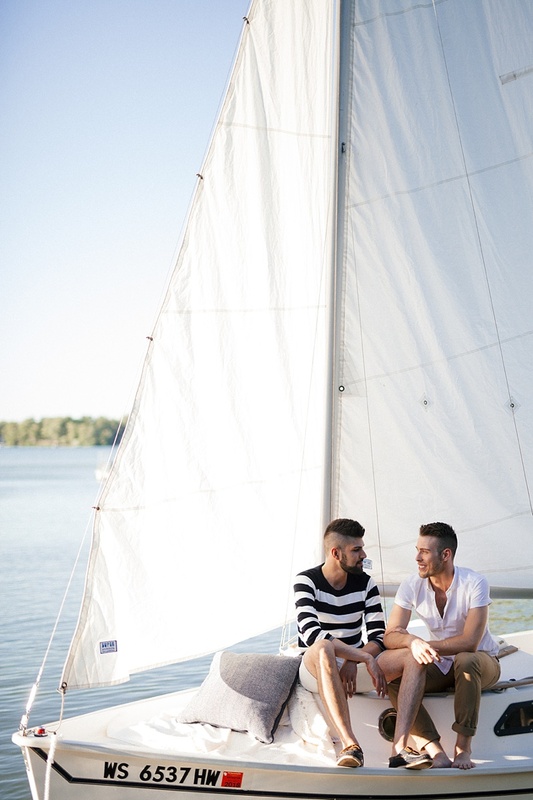 Sailboats, lanterns, and romantic nautical chic style on the water. 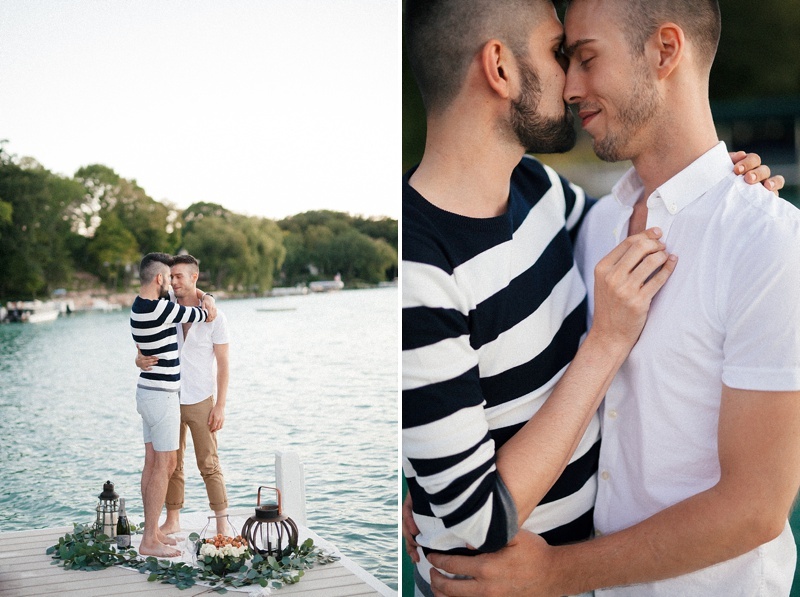 s an homage to their upbringing and "where we met" roots, Jimmy and Brad traveled to their hometown of Beaver Lake, Wisconsin to celebrate their anniversary. Combined with their love of fashion (especially since Jimmy works in the wedding industry!) 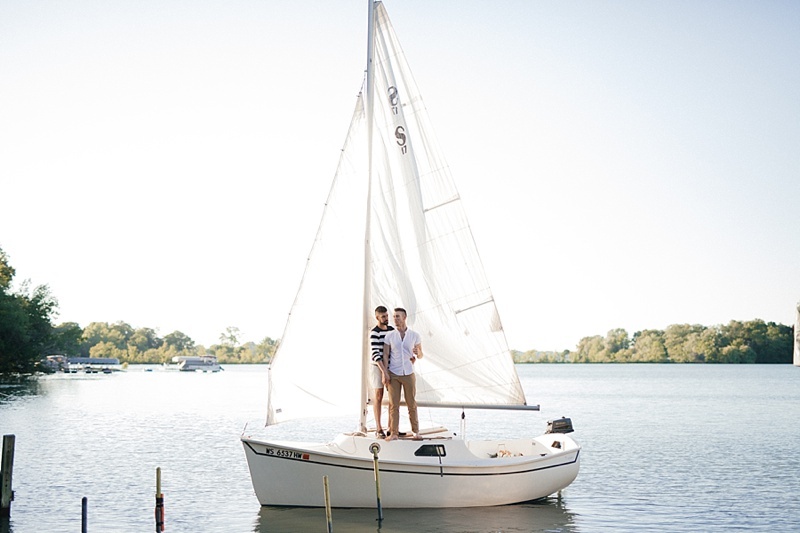 and all things lakeside nautical, they knew they wanted to have their session with Cassie Rosch on the water with one beautiful sailboat. 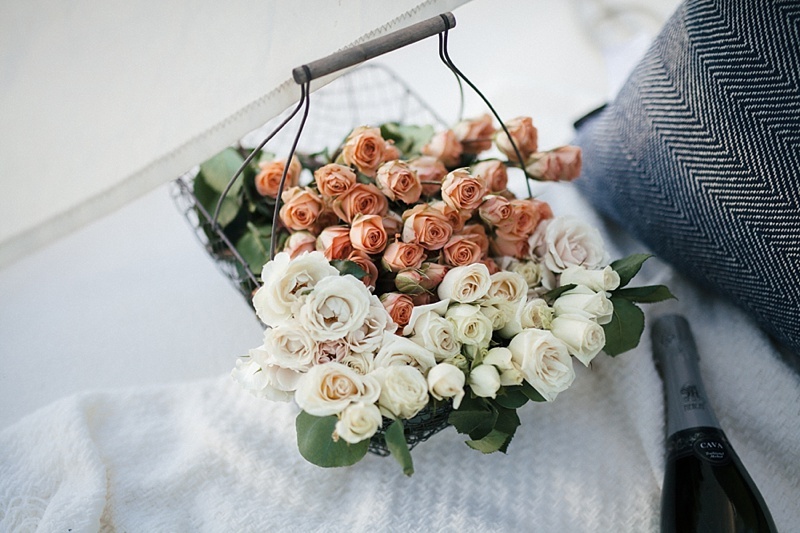 From Jimmy's bold navy blue striped sweater with traditional French Breton buttons and Sperry boat shoes to Brad's casual chic white collared shirt and tan chinos, this has all the perfect elements for a nautical date night when paired with rustic lanterns and a basket filled with roses to set the romantic mood.